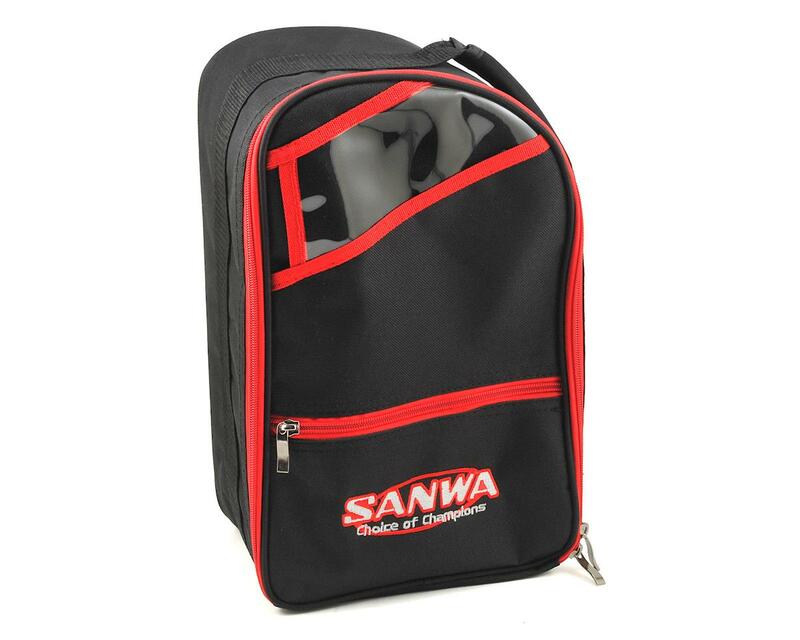 The Sanwa Transmitter Bag 2 is a great option to keep your Sanwa/Airtronics transmitter safer. 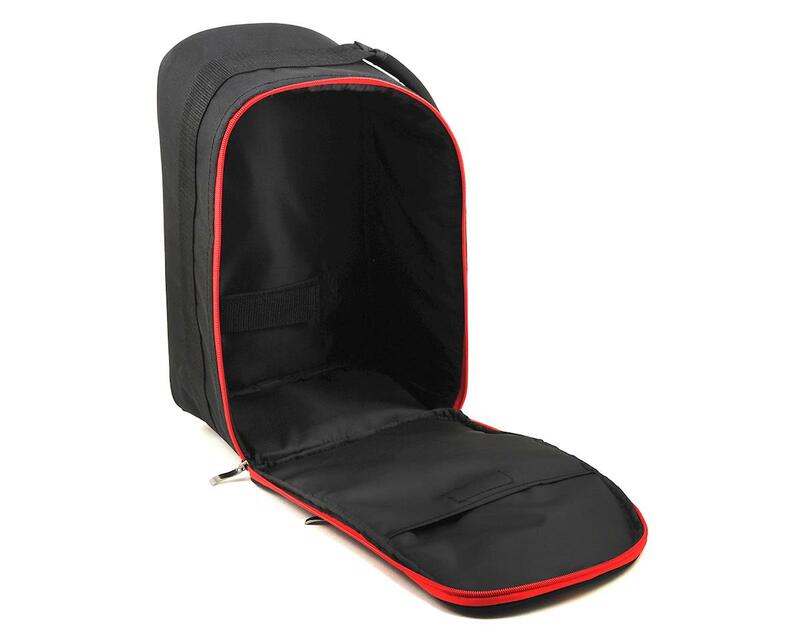 The bag features a zipper closure front flap, with zipper closure front pocket on the front, and a hook loop closure pocket on the inside. plus a hook loop strap is attached inside to hold the radio securely when installed. Approximate interior dimensions measure 300x220mm.